Humans are the most intelligent creatures on the Earth due to the most powerful and complex organ, the brain. The connections and make-up of our brain are what make us different from all the animals. We can think new ideas, simulate the physical situations, save memories, and make judgments by analyzing the situation due to our brain. The brain performs a lot of hard work behind the scene without letting you know. But if you look at the picture of the brain, it is about the size of your two fists combined. It is housed in a protective casing, the skull, and is surrounded with a fluid for protection. Our brain looks like a wrinkled set of gray colored tissues that are packed in a complex way. 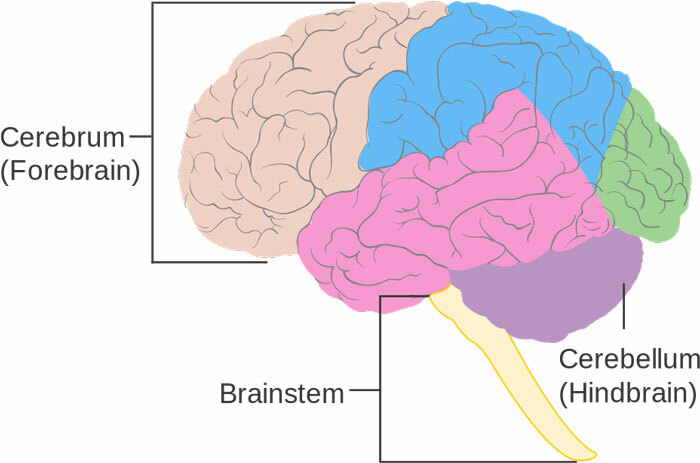 It may look like a single piece of the organ to you, but there are three main parts of the brain. These are cerebrum, cerebellum, and medulla or brain stem. 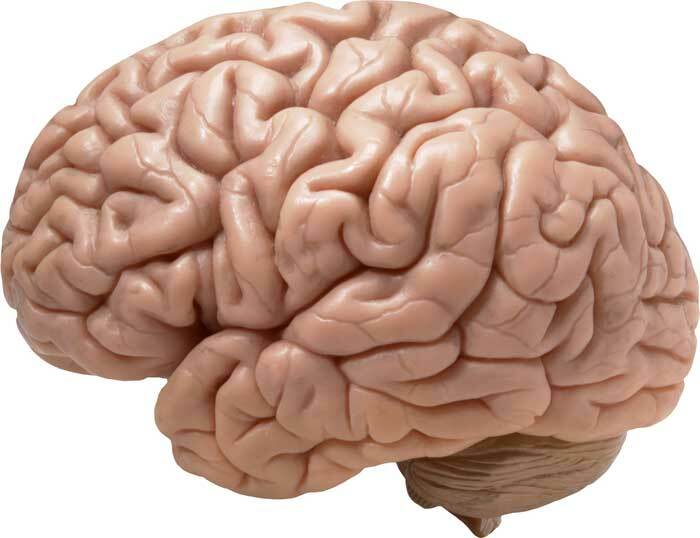 Cerebrum – It is the largest and upper part of the brain which is wrinkly. There are many parts of cerebrum according to functionality such as cerebral cortex which is also called the surface of the brain. The backside of cerebrum deals with our vision. Whereas, other parts of the cerebrum deals with language processing, movements, hearing, and touch. Cerebellum – Most of our motor actions, such as taking away fingers from hot item suddenly, are performed by cerebellum. It is located at backside and bottom of the brain. 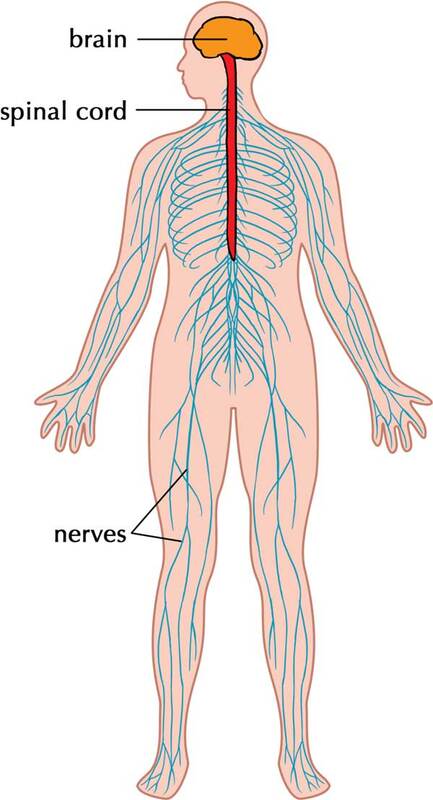 It reads and processes all the incoming information of motor messages received by nerves from our body. By reading the messages, it prepares a fast action without our notice. When you practice something, such as riding a bicycle and typing, the cerebellum learns from it and allow us to do these tasks more quickly without thinking about them. Medulla or Brain Stem – Medulla is the part of our brain which connects to spinal cords for receiving and sending messages. Also, it deals with many automatic tasks performed by our body, such as breathing, digesting food, and beating the heart. Our brain is a part of the nervous system in which the signal of information flows. Nerves from our whole body are connected with the spinal cord which is directly connected to the medulla of the brain. Our brain communicates with our whole body by nerves which send the signals received by our senses to the brain for processing. After processing the signals, the brain makes decisions and send the signal to nerves which are responsible for that task. For example, if our brain makes a decision to move the left arm, then it will send the signals through nerves to muscles of the left arm for the movement. Memory is the ability of a person to remember the information and retain it when needed. Our brain is responsible for our huge memory as compared to other living creatures. Scientists estimate that an average human has the ability to store 2.5 petabytes of information – equal to about 2.5 million gigabytes. We humans have two types of memory which are short term memory and long term memory. In short term memory, our brain stores the information temporary which it thinks unnecessary. However, in long term memory, our brain keeps the information for longer which it thinks necessary, such as your experiences, relatives, friends, and routes etc. So, how memory actually works and where the information is stored in our brain? Well, scientists have not completely understood the memory. But there are certain things that happen in our brain when it memorizes or learns something; it forms new connections with neurons or makes the existing connection stronger or weaker. But where it stores information? Our brain doesn’t store information in one place, instead, it stores the information in a group of neurons throughout the whole brain. When the memory is retained, these groups of neurons fire together. Our brain accounts for 2% of the body weight, but it consumes 20% of the body’s energy. Brain-to-body size of humans is larger than all the mammals on the Earth. Our brain is floating in a fluid called cerebrospinal fluid. This fluid protects our brain from shocks when we move and from infections. Abdul Wahab, "Brain," in Science4Fun, April 12, 2019, http://science4fun.info/brain/.